The kids version of the Ducatiana is identical to the parents' version! 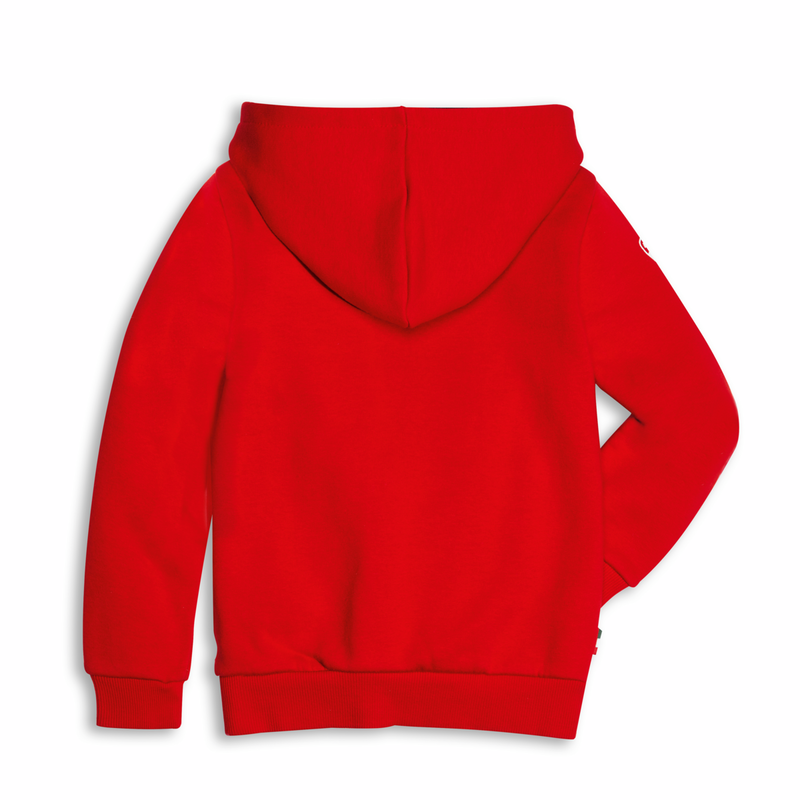 Simple and functional, the full zip hooded sweatshirt has two outer pockets and is suitable for kids of all ages. Available in sizes up to 8-10 years! 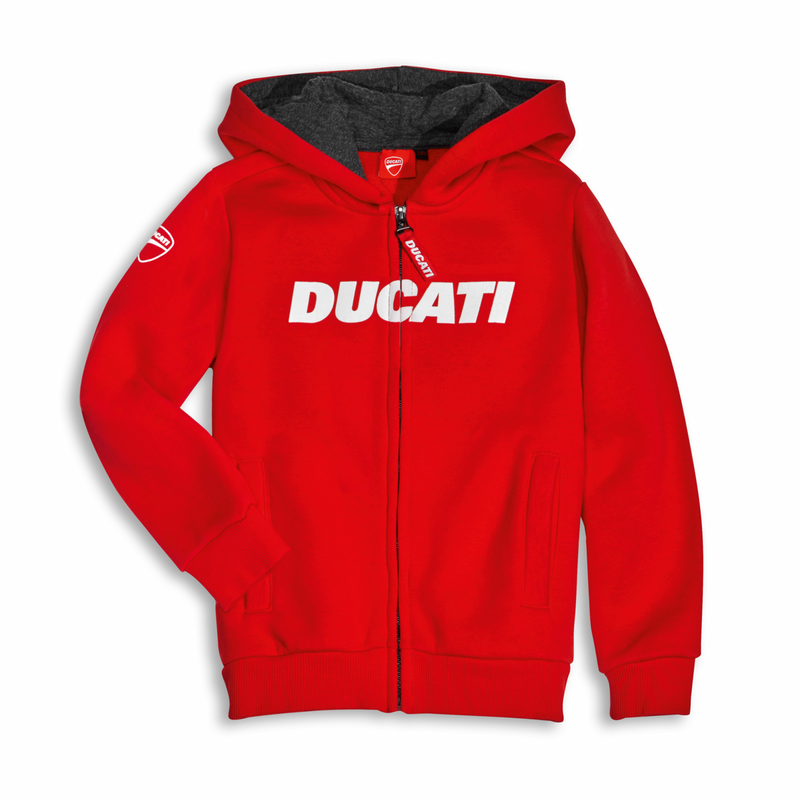 Created in a cotton mix, it is perfect for all youngsters who love speed and Ducati bikes. The hood is lined with melange grey jersey while the front bears a raised plastisol print of the Ducati logo.